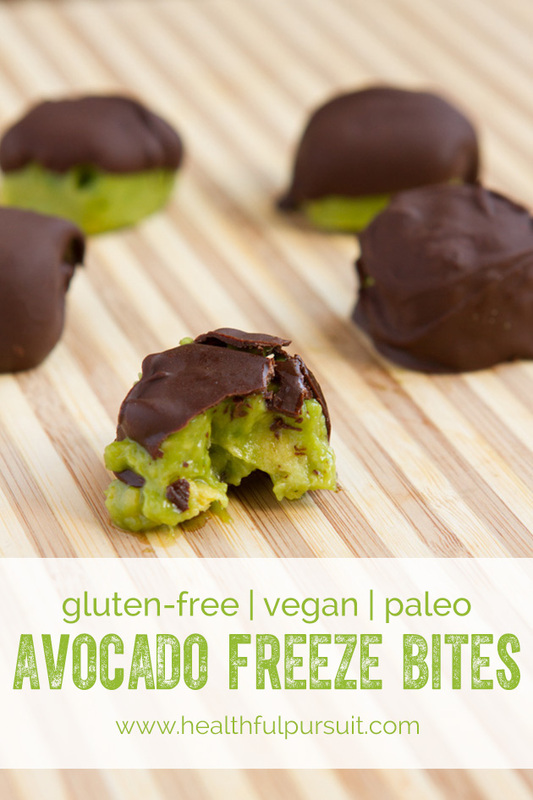 Frozen cubes of vanilla-flavored avocado coated with dark chocolate. 2 months ago, a self-made vegan + paleo vanilla ice cream on a stick with a hard chocolate shell quickly inspired me to work frantically on a new summer cookbook. It’s a vegan, gluten-free, nut-free, banana-free popsicle no-bake cookbook. More details to come very, very soon. Check out these action shots of my 3 favorite recipes from the book <<— that’s a chocolate chip cookie dough ice cream on a stick! And, because the chocolate-dipped ice cream action was just too good to handle, I decided that I’d incorporate it into a non-ice pop recipe that could be shared on the blog, post haste. Avocados are everywhere right now. ‘Tis the season! They assist with the absorption of nutrients, have outrageous amounts of anti-oxidants that help our skin stay vibrant and glowing, assist in blood sugar regulation (think: less mindless snacking), and have been shown to have anti-cancerous properties. And… and… when they’re frozen and covered in chocolate? They lead to more smiles and boosted overall happiness. Make immediately for endless happy days. 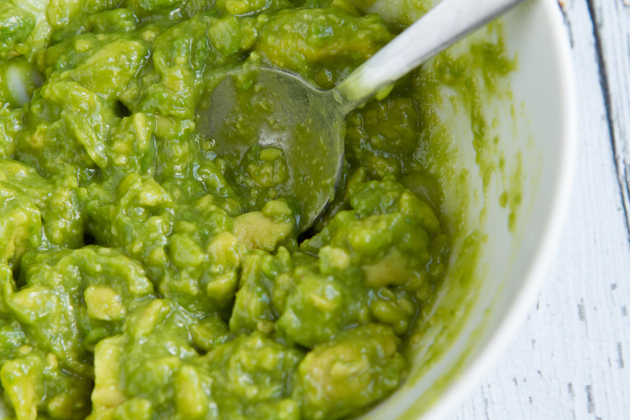 Add the avocado to a small bowl and mash with a fork until smooth. Add in honey, extract and salt. Mix until combined. Then, divide the mixture into a small square silicon mold. Cover with plastic wrap or a second silicon mold and freeze for at least 4 hours. Once frozen, line a clean metal cookie sheet with parchment paper and place in the freezer until ready to use. Combine cacao powder, coconut oil, coconut nectar, vanilla and sea salt in a small bowl. Mix until smooth. Remove cookie sheet from freezer and set beside your working space. 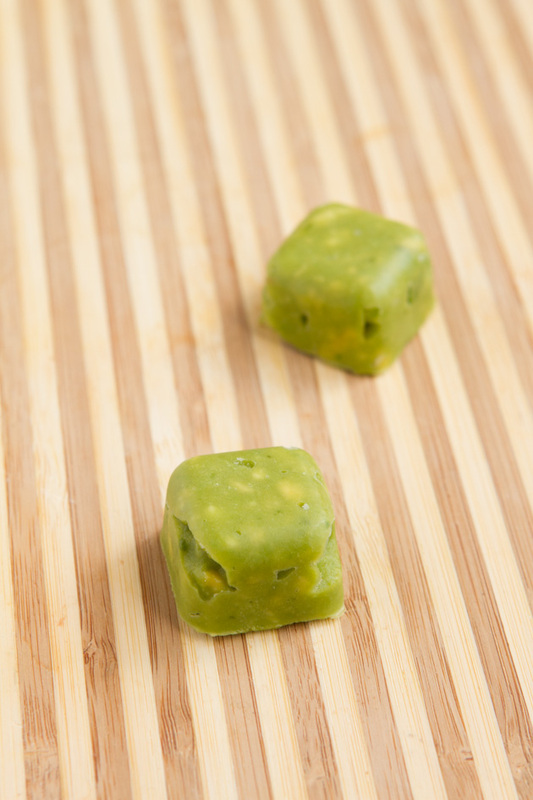 One at a time, remove avocado squares from mold. Working quickly, place the avocado square in the chocolate sauce, rotating it and spooning it back out after it is coated. The avocado will melt quickly so you have to work fast here. Transfer completed square to parchment and repeat with remaining squares. Once complete, return avocado to the freezer for at least 2 hours. 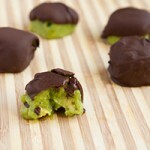 Makes 12 squares, 2 squares per serving. Vegan/Honey - I used honey for this recipe because coconut nectar gave the avocado a horrible taste. Coconut nectar does not work here. And, in making this switch, this recipe would be vegan. Silicon Mold - You will need a silicon mold for this recipe. 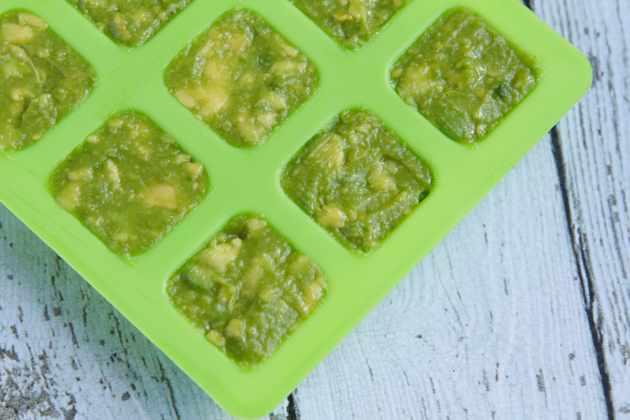 I used this square silicon ice tray. The cavity sized of the mold will dictate the yield of this recipe. I chose a smaller square so that I could make bite-sized treats. As I mentioned in the recipe, I chose to use honey only because coconut nectar made the avocado taste HORRIBLE. I highly suggest you do not use coconut nectar for this recipe. I would generally never, ever say this (because I love coconut nectar). 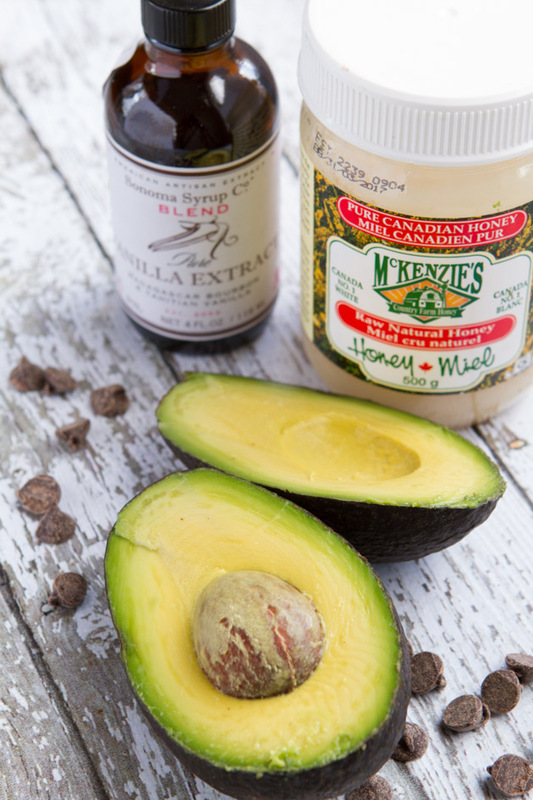 Coconut nectar is not meant to be used with avocado. Ever. As you can see form the mold, I didn’t mash the avocado perfectly. You can, if you’d like. You could even whip it with your stand mixer or blender. What is your favorite thing to dip in chocolate? 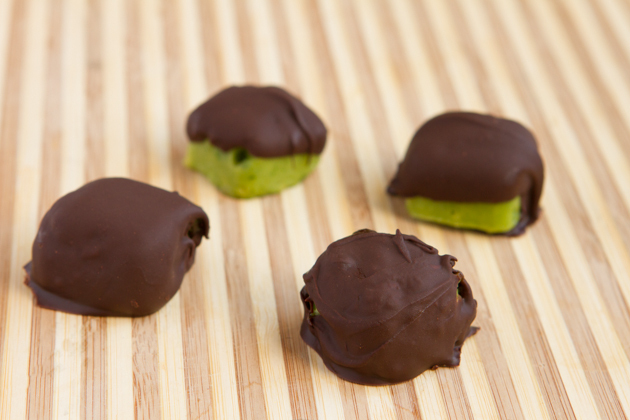 Have you tried chocolate-dipped avocado before?